Shop till you drop at Rundle Mall and Adelaide Central Market. Get in touch with nature at Carrickalinga Beach and Cleland Wildlife Park. Dedicate the 23rd (Sat) to wine at some of the top wineries in the area. 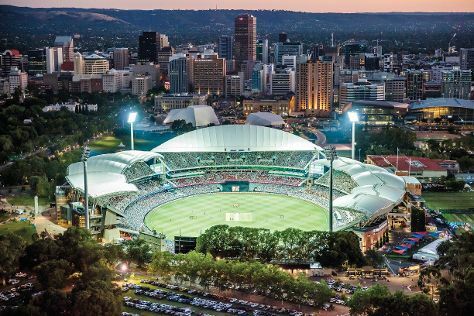 There's still lots to do: make a trip to Adelaide Oval and admire the natural beauty at Adelaide Botanic Garden. To see more things to do, maps, ratings, and tourist information, read Adelaide visit app . If you are flying in from United Kingdom, the closest major airport is Adelaide International Airport. February in Adelaide sees daily highs of 32°C and lows of 19°C at night. Finish up your sightseeing early on the 24th (Sun) so you can travel back home.